Port Antonio attractions are not just the most beautiful and scenic part of Portland, but is one of the best vacation attractions in Jamaica. Its beauty spots are open to anyone that loves adventure and is a lover of nature. Known as the 'Banana Capital' the town constitutes a typical vacation spot with twin harbors, fresh waters, waterfalls and mesmerizing rivers. This part of Jamaica is lower-key compared to the North coast and is a welcome change for many visitors traveling through the island. Here are my seven top attractions in Port Antonio. With a multitude of colors, the Blue Lagoon will have you spell-bound at your first sight. 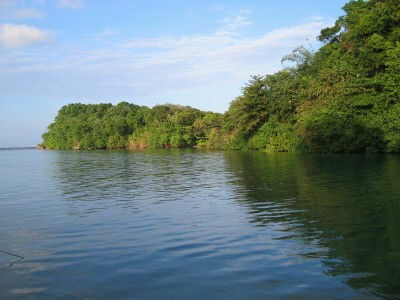 On one side, water springs at a height of 150 feet below sea level while at the other side it opens out to sea. With this combination of options the water have varying temperature. Its color constantly changing through every shade of jade and emerald. Warm and cold side by side. The water is buoyant, is 200 feet deep and is one of the most popular attractions in Jamaica and of the Port Antonio area. You are welcome to jump in and take a swim. Rafting on the Rio Grande is interesting, pleasant and a relaxing three hours. 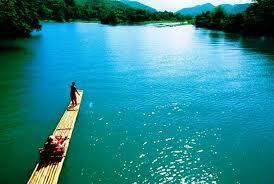 It is a six mile rafting on a bamboo raft with plenty to see and capture on your camera. This beautiful part of Jamaica is very scenic. The lover's lane adds a romantic touch to the ride especially if you are rafting with your special partner. The most popular beach of Port Antonio attractions where you can also enjoy surfing. It is known for not just the beautiful water and the glossy sands but for the exotic varieties of foods that is available. 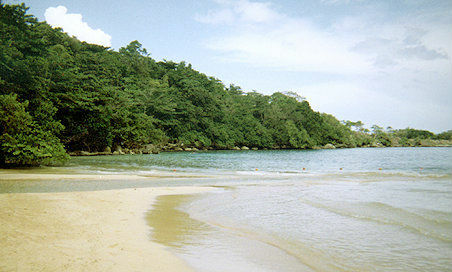 Boston beach is also known as the Jamaican Center of Jerk. With its clandestine beauty and fresh waters, and strong undercurrents, the Reich or Reach waterfalls is one of the most photographed falls. 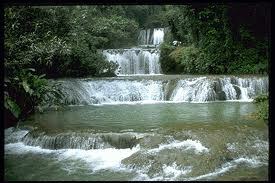 It can be easily become one of your memorable part of your trip to Jamaica. If you are looking for a bit of relaxation during your vacation, then stop at the Bath Fountain which is our therapeutic mineral spa. I first enjoyed the Bath as a child when my parents took us children on a day trip. 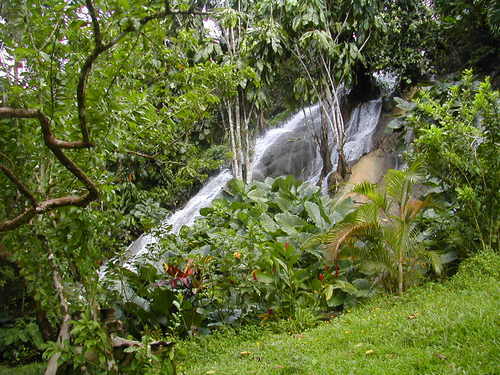 Now it has been developed into a beautiful Jamaica attractions with individual sauna or bath rooms. The spa is located within the hotel at this location but you do not necessarily have to stay at the hotel to enjoy the spa's massage treatments. Once you raft across the Rio Grande you can hike to the Scatter falls and capture its natural and scenic beauty. From the Scatter falls and another short but steep hike you will reach the Fox Caves. It is well worth the hike. Set beside the once Indigo and Spice plantation, the rich vegetation and the vivid colors and flowers will create a long lasting memory. The deep gorge on the Daniels River can also be experienced by taking a dive into the hidden but beautiful falls.